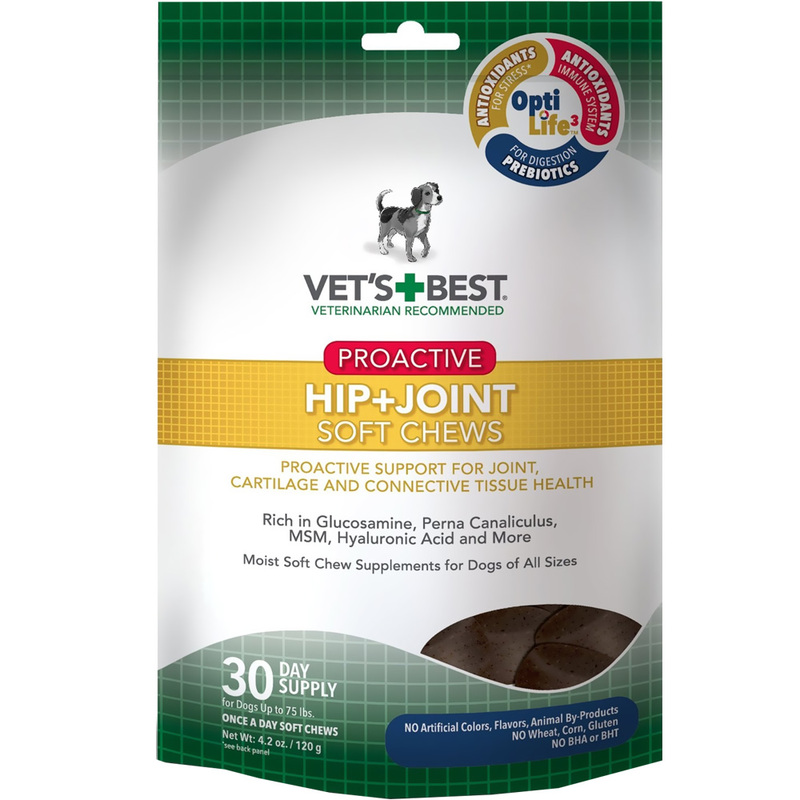 Vet's Best PROACTIVE Hip + Joint Soft Chews are Veterinarian-formulated to proactively promote your dog's wellness by supporting joint, cartilage and connective tissue health. Each daily chews is rich in Glucosamine, Perna Canaliculus, MSM and Omega 3 Fatty Acids. This PROACTIVE formula includes Hyaluronic Acid to support ongoing maintenance of synovial fluid which helps to lubricate joints. 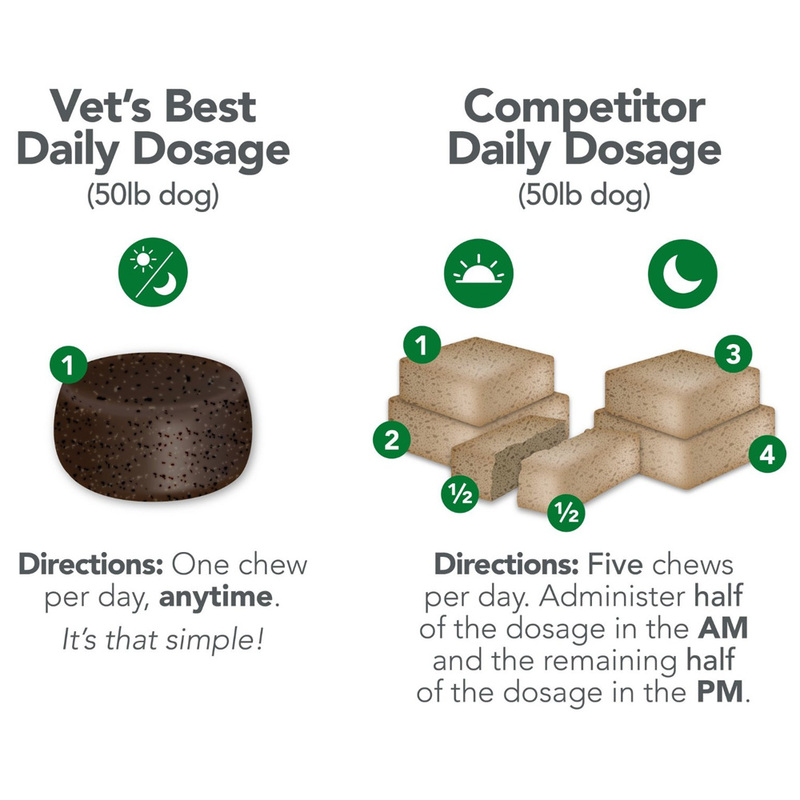 Each Vet's Best Soft Chews is densely packed with active ingredients providing high level of bioavailability for optimal absorption. 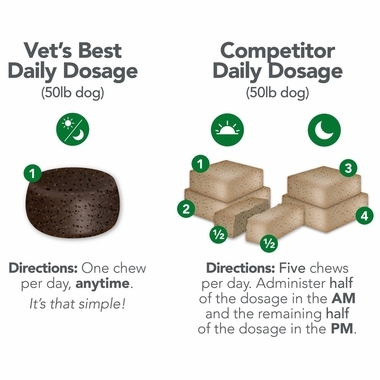 Compare the ease and simplicity of Vet's Best Once a Day soft chews to other brands which often require multiple chews per day. 30 Day Supply for Dogs Up to 75 lbs. Inactive Ingredients: Cane Molasses, Canola Oil, Dried Chicken Liver, Glycerin, Lactid Acid, Lecithin, Mixed Tocopherols, Potato Flour, Potato Starch and Sorbic Acid. 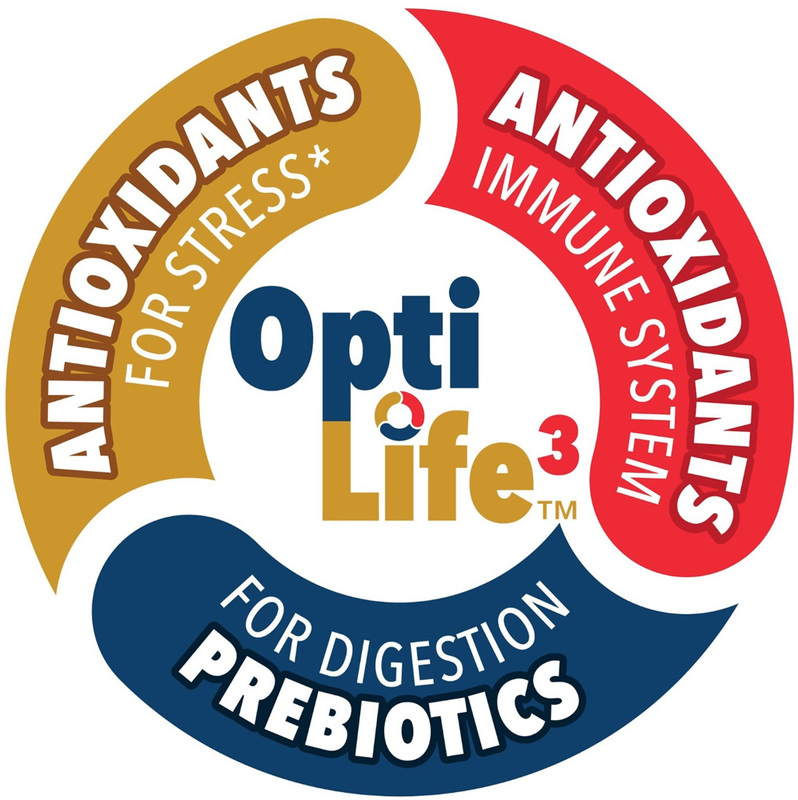 Prebiotics to promote ingredient uptake and support digestive health. For use in dogs and puppies 12 weeks and older. 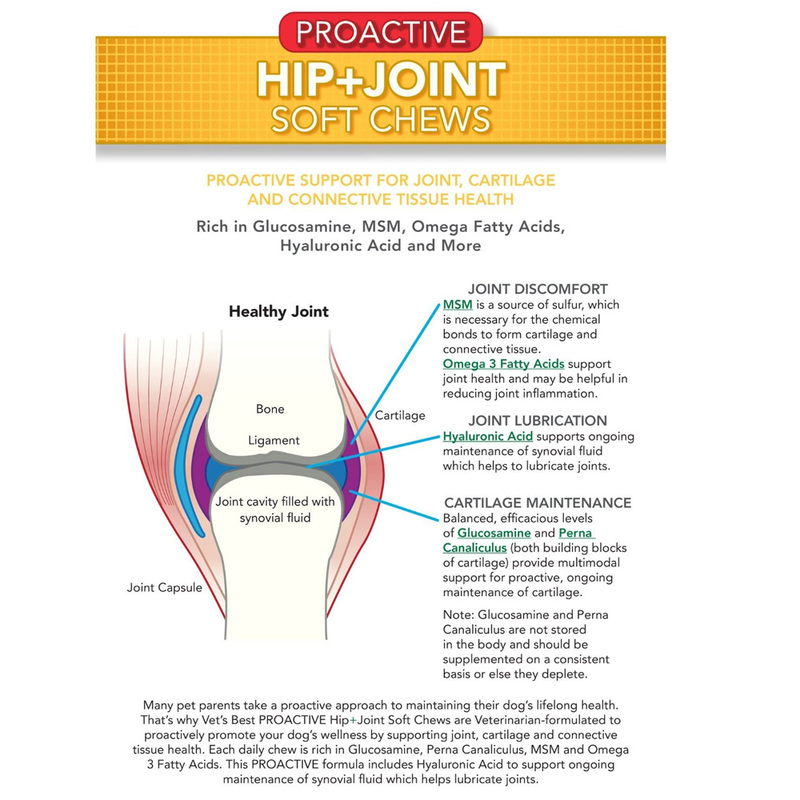 Recommended to support joint, cartilage and connective tissue health. **Recommended administration may be doubled during initial 4 to 6 weeks. Storage: Store in a cool, dry place with the bag tightly sealed.